I recently retained Roger to assist me with a rather complex opposition to a Motion to Dismiss in Federal District Court. I had a very limited time to respond and address issues involving federal jurisdiction, minimum contacts, the Long Arm Statute and forum non conveniens, among others. It was clear to me that I was not going to be able to complete the task within the short window of time allotted. I had less than 14 days to complete the task and only a few available days when I was not in court on other matters. Roger’s work product was exceptional and delivered on time as promised. The resulting memorandum was delivered to me ‘signature ready’ and formatted for e-filing with the federal court. His writing is concise and his arguments are well considered. It is clear to me that he puts a considerable amount of research and effort into his work and his legal writing is technically superb. I recommend Roger without hesitation. My only concern is that in time he’ll be too busy when I call again!" Roger is, without doubt, the best legal researcher and legal writer that I have ever encountered. His work helped enable our small firm to litigate and win cases against much larger firms having greater resources. In short, Roger leveled the playing field. 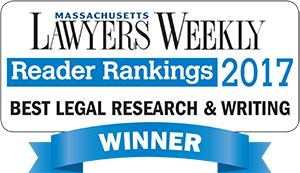 I and other shareholders consistently relied on Roger to perform the firm’s most difficult and demanding research and to draft its most complex pleadings, appellate briefs, motions and other documents. Roger’s work was highly valued because he excelled at every stage of the research and writing process. His research skills are highly developed and include a strong knowledge of both computerized and traditional resources. On many occasions when we were collaborating on a motion or brief, Roger was able to locate the 'needle in a haystack': a case highly supportive of our position which opposing counsel had not located." Roger is an exceptionally talented legal researcher and written advocate. He is a skilled writer able to produce forceful legal arguments in a signature-ready brief or objective legal analysis in an office memorandum. The documents Roger produces are clear, persuasive and well organized. Using a direct writing style, his briefs and memoranda always exhibit a careful and sophisticated analysis of the applicable law, including both the position I hope to take and, if requested, any opposing arguments. Roger quickly understands the legal issues of a case, identifies facts which are most relevant and avoids becoming bogged down in irrelevant minutia. He recognizes and understands nuances in the law that can make the difference between winning and losing. 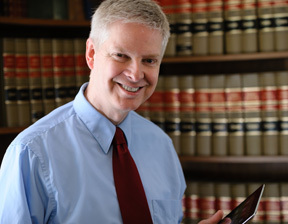 In completing a research and writing assignment, Roger works closely with the attorney handling the case. He takes an initial assignment, discusses it with you throughout the research process, and often suggests new or different legal issues or arguments. He also does not hesitate to question the arguments I’ve suggested if he finds them not best supported by the law, with very beneficial results for the client. My practice focuses on products liability, medical malpractice and other torts. Over many years, I have relied on Roger for my most complicated legal research and writing projects. His work is excellent. He never misses an agreed-upon deadline. I highly recommend his services."